Marking their territory is a natural thing for cats to want to do. This guide is about getting a cat to stop spraying inside. I have 5 cats in a very large house. Each have their own bedroom with beds, toys, etc. They have a large play room with an abundance of toys and high shelves. This room starts from the front door to the back door. The cats have fresh food 6 times a day and 24/7 dry food. We ensure that all the cats get a minimum of 3-4 hours play time each day. So one of my Ragdolls is constantly spraying on my furniture. He has being fixed and as far as I know he has no threat in the house from the other cats, infact he gets more attention than the others do. Any ideas were I'm going wrong? Your cat may have stress or wants to dominate his territory. Maybe because you have 5 cats he wants a space of his own. You have to neutralize the odor so they don't go back to the same spot. Make sure there is no physical reason the cat is spraying. If your cat is anxious, there are anti-anxiety medications. Finally, there is a product called Felliway. I got this from the website: Feliway is a synthetic copy of the feline facial pheromone used by cats to mark their territory as safe and secure. By mimicking the cat's natural facial pheromone, Feliway creates a state of familiarity and security in the cat's local environment. ... Feliway helps reduce or prevent unwanted behaviors caused by stress. Our cat Puffy has been driving the entire family crazy with his spraying everywhere. We bought de-scenting sprays and special cleaners, which he ignored and re-marked all over the house. Some advice? I refuse neuter my cat. Puffy is doing what comes naturally to an adult, fully endowed, male cat. The best way to stop territorial spraying is by neutering, however, if you choose not to neuter, then the natural behavior will continue. 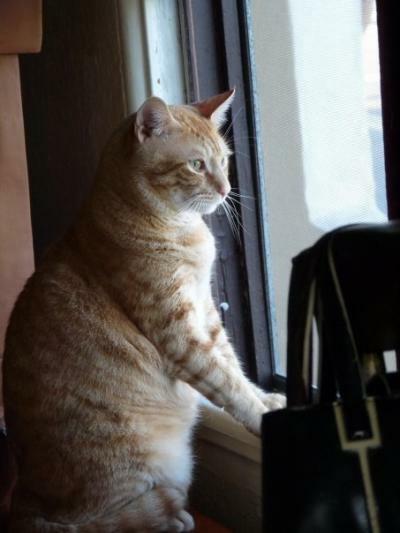 My boyfriend's male cat sprays in our house, mostly on my boyfriend's clothes and shoes or anything that was outside with another scent. My boyfriend does not want to pay to get him fixed, so what else can I do? I am so frustrated with the odor. Can someone please help. I'm sorry, but nothing will stop your cat from spraying like getting him fixed will! In the long run getting him fixed will save you tons of money because he won't be getting in fights & wandering off, so less vet bills! And, think of all the homeless kittens he'll make if you don't get him fixed! You can get a male cat fixed for around $50 (hasn't he already done more that $50 worth of damage?) Do yourself a favor, call your local Humane Society. They may know of a low cost vet or one who will neuter your cat for free! Just Google Humane Society & your city or e-mail one of the URL's below. ---> Please take care of this, the longer you wait, the more chance he won't ever stop spraying! In the mean time, to clean up the smell, Use an enzyme-based pet cleaner called "OUT!". It's sold at Walmart & Target for under $ 5. To clean cat pee area: Blot up mess with paper towel then Saturate the area with a product called "Out!" ($4.79 at Walmart) or ANY "Enzyme" pet cleaning product. Then leave the Enzyme pet cleaner on overnight then blot it up. Next, you can pour Hydrogen Peroxide on the area (first test carpeting for colorfastness) Peroxide cleans with oxygen. And, lastly you can use a half white vinegar & half water solution. If you use one or all of the above, your cat-pee smell will go away. My favorite number one thing to clean up any pet mess (hairballs, blood, pee & poop) is Out!, I like the light Vanilla scent it leaves behind, not like the other brands that have a strong floral scent. I sprayed a bit of the Out! on a nasty hairball mess, then left it to sit for about 45 min, then came back to finish cleaning it up & the mess was totally gone! What a surprise that was! It's the enzymes in it that actually "eat" or dissolve the stain, mess & odor. If the mess is on the carpeting, be sure to spray enough so it soaks way down in the carpet's padding! Check with your local humane society for spay/neuter vouchers, which help pay for neutering. Also use an enzymatic cleaner to get rid of the smell. Also you can make your own room deodorizer by mixing water and fabric softener together in a spray bottle. I would get a box and start putting 5 dollars in every week until you have enough for the surgery. There are many other articles, but neutering is the kindest thing to do to stop the pet overpopulation problem. Hope he decides to do this for his pet. I agree with the others: Get him fixed. It's the responsible thing to do. It'll help with his behavior, prevent unwanted kittens, and be healthier for the cat in the long-run. Even with three cats, we've never had one spray, but we've had other accidents. We picked up an enzymatic cleaner at Petsmart, which seems to work well. It's called PetZyme. I think that's their brand, but other brands can be found elsewhere. Best of luck! Hope he gets it done soon! The Humane Society in Winnipeg neuters cats for $25 for low income people. Check with yours. It's probably about the same price. I say ditch the boyfriend and keep the cat and then take him to get him fixed. Sorry, if this sounds flippant but he should be considering what the ramifications are if he doesn't get him fixed. 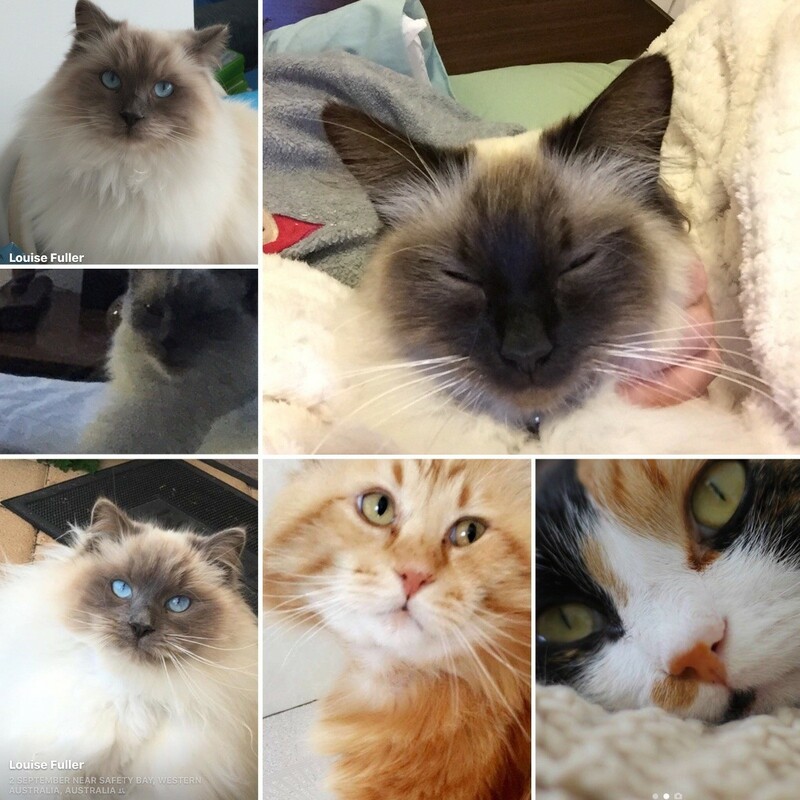 Hi, I am the proud mom of 10 healthy, happy cats, from ages 9 years to 1 year old. I've had all since kittenhood and even one since she was 4 days old. All of my cats are spayed and/or neutered. I hate to be the barer of bad news, but even neutering does not guarantee that you kitty will no longer spray. I have two male cats that still do even though they are, and one of them was neutered well before he ever was able to spray. Truly, there is no absolute, but it is always a good thing to have your animal fixed, if for nothing else, they don't make anymore babies that need homes that aren't available to them, or homes they are turned away from. Male cats that aren't neutered spray smells 10 fold that of a neutered male cat. On a brighter side: My boy Q-bert didn't get neutered until long after he started to spray. It was horrible, but I couldn't afford to get him fixed. I loved him so with his bigger than s*#t attitude wrapped up into this little stubby package, but my boyfriend, who didn't care much for him from the gate, was beginning to hate him. It was amazing and welcomed how lucky we were that he totally stopped spraying (and calmed a little, but not so much to destroy his charm, as I saw it). I guess what I'm trying to say, is use your resources, do what is right for both you, your cat and the possibility of future cats, and remember that he's your pet for life. His life and yours. You'll be happy you did it, even if the outcome isn't 100% like my Q-bert, 75% is far better than not. I have a male 12 year old neutered cat (Stewart) that occasionally sprays. Now this is not a new behavior, but because of this problem, he has had to be an outside cat. I occasionally let him in and as long as I keep an eye on him he's fine. He loves to get on my lap and also sleep on my bed. I would love him to be able to do that without watching him constantly. I am moving soon and will be staying with family. I would like to take Stewart with me and not have to leave him here even temporarily as he is older, very spoiled, won't understand, and will probably feel abandoned. So, now that I've said all that, my dilemma: is there anything I can give him (natural remedy) that is safe, that will keep him from spraying my friend's house as he will have to stay inside? I had my tom cat fixed, but he keeps marking his territory. How can I stop this? I have a spayed female that moved into our home 4 years ago. I have 2 other cats, all are fixed. She gets plenty of love as our other 2 could care less about affection! We did move recently, but just right next door. She has begun spraying and it's beyond out of control. Like I mentioned she been with us 4 years. What can I do? At this point she's family. She sprays inside and outside it don't matter. She will look right at you and do it! Please help. Question: Why Has My Spayed Cat Begun to Spray Inside? I have a 4 year old spayed female cat that for the past month has just started spraying. I have only found her to be spraying the kid's room. I have a 5 year old and a 2 year old who each have a separate room. She sprays right next to their beds. Last night my 2 year old crawled into my bed and ended up peeing my bed and it soaked through his clothes and the sheets. When I awoke this morning I had to give him a bath before taking my 5 year old to school and so I didn't get to changing the sheets. When I come back I see my cat spraying right on top of where my son had peed. Why is she doing this and how can I get her to stop? I know exactly what you are going through! Because this started happening to us several months ago. So I have been doing extensive research, including to talking to some people who run a "high-end"pet store locally & also a vet who specializes in cats. What your cat is doing is called "Scent Marking". But first rule out a bladder infection or illness! Did you know there is a difference between "spraying" & "peeing" in a male cat. (with a female cat, you can't tell the difference) When a male cat pees, they squat & the pee comes out vertically, but when they "spray" they back up to the area & spray their pee horizontally. "Spraying" almost always means the cat is "Claiming Territory" because they feel their territory is somehow threatened. Sometimes because it no longer smells them them. It could also be from the smell of another animal, like a new cat in the home. (in your case, probably your children's pee?) 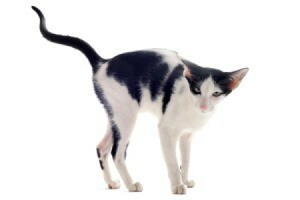 You can sometimes see your cat is getting ready to spray because their tail goes straight up & starts to vibrate. Sometimes if you see this is going to happen, you can yell & say "NO!" & usually they will stop. Then you quickly pick them up & put them in their cat box or outside. Did you know that cats are so receptive to smells that you should never even use Ammonia to clean your home with... This is because Ammonia smells to them like pee because when pee breaks down, it turns in to ammonia. The first thing you should do is to buy a good pet cleaner. Make sure it says "Enzyme-Based" odor & stain remover. The back of my cleaner says it works "through a unique ready-to-use beneficial bacterial enzyme formulation that actually speeds up the natural bio-degradation process when applied to the problem area". Buy enzyme cleaners at any pet store or buy it at Walmart, Target or K-mart. I really like a brand called "Out!" & it sells for only $4.79 at Walmart & K-mart. Spray the cleaner directly on to the area then cover the area with plastic to keep it wet & leave it sit overnight. (the plastic is to help keep it wet, because once it dries it stops working). #2) Can you shut the door to you child's room after they fall asleep? & have your kids keep the door to their rooms shut during the day. You could give your kids a "nursery monitor" so they can easily call you & you can hear them if they're not old enough to open their door. #3) You can also keep your cat in a LARGE cat cage while you sleep so he won't get in to trouble (this is what we do) & be sure to include a catbox, water & a scratching pad. #4) This is going to sound kinda weird, but if you could temporarily put a new, clean catbox near the area the cat is spraying, it could help. Then IF the cat starts to use this litter box, slowly move it away to a different spot in the home. This helped us. We first put the new litter box where he was spraying, then we moved it to a more appropriate place. #5) Cat pheromone Diffuser: There is a product called a "Pheromone Diffuser" & you simply plug in into the wall & it emits a scent that only cats can smell that calms them down. This is used a lot for "Scent Marking" or when bringing an additional cat into the home. For some cats it works miracles & for others it doesn't work at all. It costs for $24 to $40, so it's kind of pricey to find out if it will work for your cat! Another reason cats spray is to "claim their owner." My daughter's best friend recently had this problem when she woke up in the middle of the night with her cat peeing ON TOP of her! & we found out that it was the cats way of saying "I love you so much that I "claim" you as mine, or my territory". But the only way to stop this behavior is to clean up up every trace of the scent of pee or ammonia (& that's not easy with a toddler in the house!) You basically have to "think like a cat" & cat's "think with their nose". I know this doesn't help, but the cat may be showing your children he loves them by "claiming them".Also, if your cat was living in the wild & another animal peed in "his territory" he would naturally try to cover that smell with his own! With us, we have had to use another solution. We keep the kitten in my bedroom & we are introducing the 2 cats slowly, outside where there is less threat to "territory". We also watch our cat closely for an hour or 2 after he eats to make sure he goes outside to pee & doesn't spray on our walls, etc. We clean his spray up immediately & even pour the cleaner down into the carpet pad to be sure we get it all! We've also placed a screen in front of the place he likes to spray the most. You might also want to do this. Put a large piece of cardboard in front of the part of the bed he likes to spray at. U.V. OR black lights: To find out exactly where the pee is (human or animal) buy a black light. Pee will glow under U.V. light! Some types work better than others. Read the reviews on Amazon before buying so you know you are buying a good product! ...If you have a pet (or a child) that sometimes pees indoors, a black light will be worth it's weight in gold! Dirty litter box: This isn't the case with you, but with some cats, they pee in bad places because their litter box is dirty, so be sure to keep a clean litter box! * Lastly. If you don't have time to clean up your child's pee, shut the door to that room, so the cat can't get into that room until it's clean or if there is no door, put your cat into a room with a door, a large cage or outside for a short while until the pee has been cleaned up! The only time my kitty ever urinated outside her box was when she had a urinary infection, so I agree with the previous poster about checking that first. Your circumstances are different than mine also. I hope one of the previous poster's tips works. My female cat was spayed 1 year ago and is now just starting to spray in my house again. She is also lifting her buttocks up in the air when you talk to her and meowing all the time. We have two outside "barn" cats that come on our porch (one is male). They do not mark anywhere, they just lay on our porch and then walk away. They have been here from the time I got my indoor cat. Why is my cat starting to spray again and what can I do to stop her? I have a ten month old tom cat that has just started "spraying". He's going to the vet's on Thursday to be neutered, but in the meantime how do I stop him from doing this, and how do I get rid of that awful smell? Nature's Miracle is a good product for the smell, but honestly until he's fixed, there's not much you can do. He's marking his territory. The is a product called Comfort Zone with feliway (onlynaturalpet.com) and many pet stores. It is pricy. It comes in a spray and diffuser. Cats will not mark where it is sprayed. It works very well (spray is best, diffuser helps) but you must use it daily, or even twice daily. It is the only thing I know of to help break this habit. Natures Miracle is great for accidents that have already happened. If you have clothing/bedding with urine odor, put 1/3 cup Borateem in your wash load to remove it. We adopted a rescue cat when he was an 8 week old kitten and he has been a great cat. We have 2 others, in total we have 2 males and 1 female cat. They are 15yrs, 10yrs, and 5yrs in age. When Tank was a kitten we had him neutered, just the like other male cat, and the female is spayed. They all get along and on occasion the male cats with get into a scuffle, but get over it quick. We do live in the woods and they spend time outside. When we go to bed or leave for work for the day, we call the cats into the house like dogs and they respond well. What I am saying is that Tank behaves and we have no issues with him except for the fact that he sprays everywhere in the house. He also sprays all over the place outside, which is what we wish he would only do outside. We have tried everything and we always clean it up and he goes right back to the area and sprays again. I have tired the aromatherapy, collars, candles, etc. that everyone swore worked and it did nothing. He sprays even if there are no cats around outside. He has been to the vet and he never had an urinary track infection or any other problems. He is healthy and physically active. We do not want to get rid of the cat being he is like one of us in the family, but I am running out of options and it is not healthy for the cat or us humans in the house. Other than maybe keeping him outside all the time ~ what else is their to do? Our female cat is fixed, and there is lots of love in our home. We have two litter pans for her. She is 2 1/2 years old. These past few months I have been finding she is spraying up the walls and onto our carpet. I've cleaned with the proper cleaners for cats. Yet it still continues. She has been peeing in the tub and on our tile floor on a landing. We are becoming very frustrated. We have taken her into our vets, and she is healthy. They say it's not normal for a female to do this even after she's fixed. We clean her box, and clean up her messes daily. And it has been very stressful. We don't know what else to do. Nothing has changed in our home, her temperament is the same. Please help us. 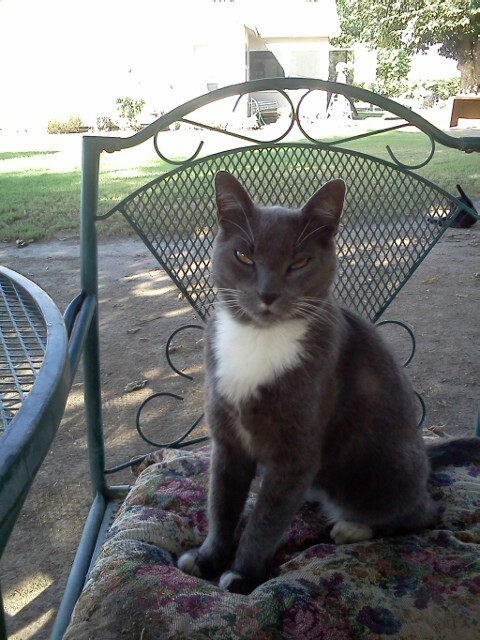 I have an adult male cat named Smokey. I had him fixed when he was young, and he stopped spraying for some years. I recently moved, and he has started spraying again. Help! I don't want to get rid of Smokey, but I can't stand the smell. Can I get him fixed again? If he has been neutered, he cannot be neutered again. The testicles are removed. Once they're gone, they're gone. There is nothing to remove again. Smokey is probably stressed out from the move. Do you know if any animals lived there before you moved in? Perhaps their scent is still there and he's marking his territory. You should try an enzymatic cleaner. I've bought it both at Petsmart, and in the pet supplies area of Wal-Mart. It will actually break down the residue so that the scent is gone, and the cat isn't attracted to the same area again. And you can always consult with Smokey's vet. Sometimes medical problems will cause undesirable behavior. Best of luck! I hope you find something that works for both of you! First, have him checked by the vet to be sure he is not suffering from a medical problem. Male cats especially can develop urinary issues especially if they are fed dry food. It could just be a coincidence that he started the problem after the move. Once a medical problem has been ruled out, make sure you have not changed brands or style of litter. Did you buy a new litter box when you moved or did you bring along the old one? Where have you placed the new box. Perhaps he doesn't like the new location. Did he have privacy in the old house but now his box is in an area where there are more people around?? You might try confining him to one room-maybe the guest room with his litter box. Once he starts using it again you can give more freedom to roam the entire house. My male cat is fixed and spraying all over his litter box. What can I do? Please take him to his Veterinarian, there could be a urinary track problem going on. Talk to your vet first to rule out any underlying medical issues. If all checks out fine, then you need to ask yourself some questions. Do you have any other cats? If so, cats can be territorial. Rule of thumb: Always have one more cat pan than you have number of cats. Also you may need to have the cat pans spread out away from each other. Kitties like their space. Next question. Any changes in the household? Cats can be easily upset and react accordingly. Some changes can be easily adapted by your cat. Some can't. New people, new furniture, different scents, people relationship problems? If it is a new pet, some pets, just like people don't really like the other one's personality. You may have to have your vet help you with this one. You say the cat is spraying all over his litter box. Not quite sure what you mean. If he is spraying over the top of the edge, try different litter pans to help contain the problem. If he is spraying outside the litter box and not inside the litter box. Could be multiple things. Is it being kept as clean as he likes it? Some are real picky and won't tolerate much waste in the pan. I scoop my pans 2X a day (4 males and 1 female) and I don't have any problems. Does he not like the litter that you are using? Some are large pellets and some cats don't care for the feel on their feet. Experiment with different types of litter. I use a cracked pine. Cats seem to like it, pleasant smell, easy to clean and it keeps the odor down. It comes in scoopable and non-scoopable forms. If you are using a litter pan liner, he may not like that. Personally, liners never worked well for me. Good luck, just don't give up. Trying to find out what the problem is can take persistence. Until you can speak "cat" you will have to play Sherlock Holmes to find out what he is trying to tell you. My 11 year old male indoor cat, has recently started to spray all over my house. I've been single for 5 years and now have a new live in boyfriend. It is the only thing I can think of why he would feel threatened. How can I get him to stop? I have an 18 month old desexed male inside cat and a 10 month old desexed female who also is not allowed outside. 3 months ago she has started spraying and weeing in all different parts of the house. I can be standing in the kitchen and she will just come in and wee in front of me. I have 2 litter trays which both cats use. Someone suggested that she may not like the odour of the male's urine in the tray, hence won't use it, but the trays are cleaned daily. I know she is about to spray because she runs around like a maniac and then jumps up on the couch and sprays over the wall. I have bought the spray "Urine Off" and regularly spray where she has sprayed, but this is no deterrent, as it just doesn't work. I have taken her to the vet many times to eliminate a bladder infection, etc., but she is perfectly healthy. Unfortunately my next step is to give her "Valium" or a similar drug which I don't want to do. Any suggestions would be really appreciated as I just don't know what to do next. I have heard that the plant star of Bethlehem will reduce stress in a female cat that is spraying. Is there any truth in that? I have tried the Comfort Zone thing in the store, but it is very expensive. And doesn't last very long.